Listed by date below are the egg hunts + Easter activities that have been posted so far for the Lehigh Valley area. Event pages, websites, or flyers have been linked under each post, if available. Check back periodically as the list will grow from now through Easter. If there's an event you'd like me to add, just send me a message and I'll be glad to update the list. Please feel free to share this link with any friends/family! The annual egg hunt for children 8 years or younger will take place before bingo. Activities and photos with the Easter Bunny will be held from 10 to 11:30 a.m. (cost $2). The egg hunt starts at 11 a.m. REGISTER HERE. Register online, by phone, or at HTCC for our annual Easter Egg Hunt! Registration is required and space is limited. See our event flyer for details. Come in for our annual Easter Egg Hunt! Prizes for the kids! The Easter Bunny arrives at the Promenade Today! Egg hunts staggered by age range. Everyone’s invited to our FREE Hoppin Egg Hunt on Saturday, April 6 at Kids Quest/Cyber Quest! Join us for a fun Easter Egg Hunt at the Winery! Adult Easter Egg Hunt starts promptly at 12pm. For $15 per person, each adult participant receives a glass of wine of their choice at the start of the event and has the opportunity to collect five eggs around the property. Inside the eggs enjoy prizes including candy, discounts on wine, complimentary tastings, free glass of wine, Setter Ridge Vineyards swag (such as t-shirts, glasses & magnets), tickets to upcoming events (including cupcake pairings, scavenger hunts, and winemaker's dinners), and other great wine merchandise. At 1:00 pm, we'll be hosting a Child Easter Egg Hunt. This egg hunt is free, but please register your child, so we have enough Easter Eggs for all the children participating. 9th annual Easter Egg hunt - Kids 10 and under are invited for a fun, free time to gather eggs, enjoy crafts, snacks and pictures with the Easter Bunny! RSVP by April 1 by messaging us or emailng calvarym@ptd.net, 610-435-6881. All welcome! Easter Egg Hunt at 1 pm. Join us for our 1st ever Easter Egg Hunt at Steel Fitness Premier! The event is open to all members and community guests free of charge. We will be having the egg hunt outside. We will direct you to the right spot! Kids of all ages welcome. Kids must be accompanied by a parent or guardian. Kids are not allowed to be dropped off unattended. As this event is outside our facility, all families will sign a waiver upon arrival. Please join us for our annual Free Community Egg Hunt and Free-Will Donation Pancake Breakfast. Egg Hunt registration starts at 9:00 am; hunts start promptly at 9:30 am. Open to children ages one year through fifth grade. We have heats by age! Bring your own basket. Rain or shine event. Following the hunt, join us down in our fellowship hall for a pancake breakfast. Free-will donations accepted; all donations will go to the Concordia Preschool Scholarship Fund and Concordia Church's Latvia Mission Trip. Free bowling. Kids under 15 years old bowls free for 1 hour. Anyone over 16 years old pays $5.00 for 1 hour. Lehigh valley vendors coming. Door prizes, basket raffles, and bowling. Come for the Egg Hunts and stay for the FUN!!! Don't miss our 7th annual community egg hunt. We are moving to a larger location this year thanks to our friends at Schnecksville Fire Department. For more information or to pre-register go to our webpage at www.faithweschurch.org and click on announcements or register HERE. Join us for a FREE Community-Wide Easter Egg Hunt at the Upper Saucon Community Park on Saturday, April 13, from 9-11am. The egg hunt will be divided by age categories, and is for children ages infant through fifth grade. In addition, we will have free refreshments, coffee, games, face painting, crafts, live music, bouncy houses, and free raffle prize drawings from local businesses. Prize baskets, snack and lots of eggs! Please join us on APRIL 13 for our annual Bunny Breakfast and Egg Hunt! This event is free and open to all! Bring your family, friends, and neighbors! There's something for everyone, including lots of breakfast choices (including gluten-free) and a visit from the Easter Bunny himself! Breakfast will be served from 9am - 11am, and the Egg Hunt will start immediately after breakfast. We hope you'll be there! An afternoon full of food, games (including an Easter Egg Hunt), musical performances, and FUN for the whole family! When the egg hunt is over, the Easter Bunny will be available for photos with your child or children with a nice Easter display backdrop. Free of charge! just bring your own cameras! As always, donations at the event are always very much appreciated, but never expected. LOCATION: 8031 Salem Bible Church Rd. Lily's Hope Foundation is hosting it's 5th Annual Family Egg Hunt FREE for the community on Tuesday, April 16th. Egg Hunts are in the Indoor Playground of McDonald's Quakertown at 5:30, 6:00, and 6:30pm. Two egg hunts every half hour broken down by age group. Crafts, games and the Easter Bunny will be available for pictures! 25% of sales from 4pm-8pm at McDonald's will be donated to Lily's Hope Foundation. Thanks to our sponsors for making this night so fun for the children! Drop into spring with our annual Eggcellent Adventures weekend! Try the Egg Drop Challenge, see live baby chicks, meet bunnies from Emily’s Barnyard, and more! Join us on Friday, April 19, Saturday, April 20, and Monday, April 22 from 10 a.m.- 4:30 p.m.
Bake sale, raffle, and refreshments. Guest appearance by the Easter Bunny! Come early to see the Easter Bunny arrive by fire truck and to line up in age groups. Siren sounds at 10 a.m. sharp to start egg hunt. For children ages 1-12. Sponsorship opportunities are also available to help support this event. Please contact us directly via Facebook Message or at info@hellertownhistoricalsociety.org for more information. Hop on over for some fun, we will look for eggs until we're done! Please register your child for the appropriate time through the Hawk Mountain website if you would like to join us. Bring the family for a spectacular Easter Egg Hunt at KW Allentown. Starts at 11 am, sharp. Please note: CHNA does not host this event, we are just helping get the word out. Tickets are $5.00 per child and include a visit with the bunny and an egg hunt. The Easter bunny will be arriving in a big rig! Parents and kids who will not be hunting eggs do not need a ticket. Egg truck on site from 11:30am - 2:30pm selling lunch and cotton candy. Times are: 12:15 - egg hunt and 12:30 the Easter Bunny arrives for a visit and photos. 1:00pm music starts with Gordon Ward. Call us at 610.588.9463 with questions. Fire truck tours, kids activities, face painting, light refreshments & basket raffle! Children & Adult egg hunts commence at 1pm! Please come Friday, April 19th @ 9am to help color nearly 1,000 eggs! There will be a bounce house, face-painting, candy, donuts, and prizes. Rain date: Sunday, April 21, at 12:30pm. Registration would begin at 11:30am on the 21st. This event is open to the public and it is free! Ages 3-5th grade. Join us for our 3rd Annual Easter Egg Hunt! After the overwhelming response to last year's event we have restructured this year's Easter Egg Hunt to accommodate a significantly larger volume of families. We have plenty of onsite parking, JT's Grill will be selling food, Grandview Granola will be joining us with parfaits, and we are dedicating 4 acres to three separate age groups hunting over 10,000 Easter eggs! Admission to our event is free, however we will be collecting donations to our local food pantry and ask everyone that is able to, to please bring canned goods! The Easter Bunny will be available throughout the entire event for photos! Families can also visit with chicks, piglets, and our resident sheep and goats, and of course, Luna, the mini Donkey!! Join us for a fun afternoon with your family!! This is the 67th year of their community egg hunt for the children of the greater Emmaus Community. It is held the Saturday before Easter (rain or shine) at 1:00 pm at Community Park in the Borough. Hundreds of children arrive to collect 10,000 candy-filled eggs with prizes awarded if you collect a "special" egg! If you'd like to sponsor this event, please contact Doug Hohe at 610-965-5472 for more information. You are invited to our annual Easter Egg Hunt, this is a free event and open to the whole community for children 3 years old- 12 years old. There will be music, snacks, refreshments and lots of candy. Please feel free to invite your friends. Bring the family to the Macungie Memorial Park Annual Easter Egg Hunt. The Egg Hunt starts at 2 p.m. so make sure you get there early. The Easter Bunny will be present. Prizes will be awarded. During Sunday School, the children will have the opportunity to look for hidden Easter Eggs. We ask each family to please donate one dozen filled plastic eggs and bring them to the Church by Sunday, April 14. On Easter Sunday, your child should bring an Easter Basket to collect his/her eggs! Visit The Promenade Shops at Saucon Valley to have your professional, family photo with the Easter Bunny inside the Gazebo in Town Square presented by Lehigh Valley Reilly Children’s Hospital. Children that meet with the Easter Bunny inside the Gazebo will receive an Easter Egg filled with putty, courtesy of QNB Bank, as a gift. Photos are taken with care by Dan's Camera City, and packages starting at $21.00. *Schedule is weather permitting and subject to change without advance notice. Dates not yet posted, but check back here for updates. Hop, jump, or leap your way down to the Lehigh Valley Zoo! On we will be celebrating our annual Hop into Spring event! We will be featuring a 12:30PM Keeper Chat focused on the always-hopping kangaroos as well as guided tours inside the Kangaroo Walkabout Exhibit! There will be an exciting line up of games, crafts, and activities sure to put a SPRING in your step! Be sure to check out our other interactive exhibits while you’re here for a chance to feed and brush our goats, take a tour of the barnyard, or even hand feed our Lorikeets! All you can eat pancakes and sausage. Take your own photo with the Easter Bunny!! Baked goods for sale. All proceeds benefit Boy Scout Troop 329. Hop on over to Chick-fil-A Whitehall for dinner with the Easter Bunny and fun activities for the whole family. All Children 2 and under receive a free ticket. Want to learn more about MMLV? Our mission is to provide a positive and productive environment for moms of multiples to interact and support one another. Together we offer guidance from pregnancy through childhood and can assist with questions related to motherhood and raising multiples. 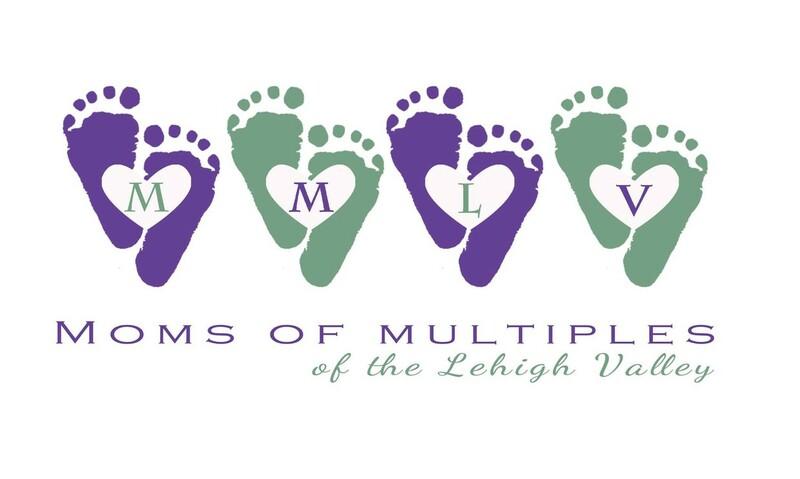 Membership is open to expecting mothers and mothers of multiples in the Lehigh Valley and surrounding areas. Discounts -- Our members receive exclusive group discounts to various organizations such as PP&L Center, Sesame Place, Elmwood Zoo, and more! Please visit our website for more information. Our next meeting will be held on Thursday, April 11th. Join us! We meet the 2nd Thursday of every month at the First Presbyterian Church in Allentown – 3231 W Tilghman St, Room 218. Doors open at 7:00 PM, meeting begins at 7:30 PM. Nursing and bottle fed babies are welcome!